Nice Nests shelters by Patrick Hannigan encourage species-specific nesting in the restoration area of Cottonwood Trail. Find more information at www.nicenests.com. It was an honor to meet Sandra Warriors Pistol Bullet, a student intern at the Methow Valley Interpretive Center (MVIC). 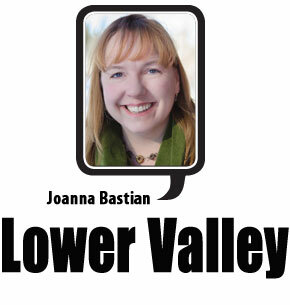 Her story was featured on the front page of the Methow Valley News last week, written by Ashley Ahearn. To celebrate Sandra’s internship, the Methow Valley Interpretive Center and the Methow Native plant nursery hosted a small gathering last week. 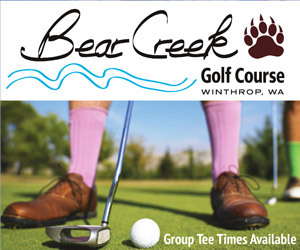 Her contributions to the community include new cultural exhibits at the MVIC and development of the Cottonwood Trail. The conversation with Sandra is still churning through my thoughts, days later. A student at Wenatchee Valley College and a member of the Colville Confederated Tribes, Sandra is studying both ecology restoration and language revitalization. Her passion for both fields was clearly articulated as she spoke about reconnecting with her own heritage through her studies of traditional plant use and language revitalization. As we strolled along the Cottonwood Trail, Sandra talked about her work these past summer months. The breadth of knowledge that people possessed about which unique plants to process and use for building materials, shelf-stable food and medicine is simply astounding. There were eight different varieties of serviceberry in the Methow Valley alone. Each variety had to be stored and dried using different methods. As part of the project, Sandra focused on the Salish names for traditional-use plants. Salish is a group of languages in the Pacific Northwest. There are 23 distinct dialects separated by geographic features. For instance, the Entiat, Chelan, Methow and Okanogan dialects are all unique forms of Salish — similar to the Romance languages and the differences between French, Spanish and Italian. Languages and plants are closely intertwined. Dialects and species evolve differently from each other based on geographic location. Phonemes can be strung together to build knowledge and heal relationships. Plants can be processed to build a home and nourish a body. Every culture has a tradition of coming together over a meal to exchange words. Languages grow and morph over time and if not tended, die. So, too, plants. An interpretive sign along the Cottonwood Trail describes the different forms of restoration in the collaborative project. The Cottonwood Trail is located 3.6 miles north of Twisp on the Old Twisp Highway. The 38-acre educational park is part of the Watershed Watchers outdoor education program, and is open to the public. 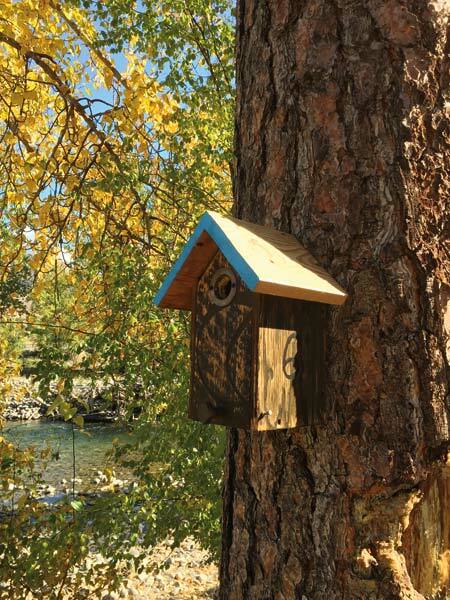 A 1-mile loop trail on the Methow River floodplain is a fragrant oasis of birdsong, river views and changing fall colors. Interpretive signs along the trail describe the area restoration of plants, river-flows, and fish. The community walking path is located on public Washington Department of Fish and Wildlife land. Work parties of volunteers organized by Rob Crandall of Methow Natives plant nursery placed hundreds of native trees and shrubs. 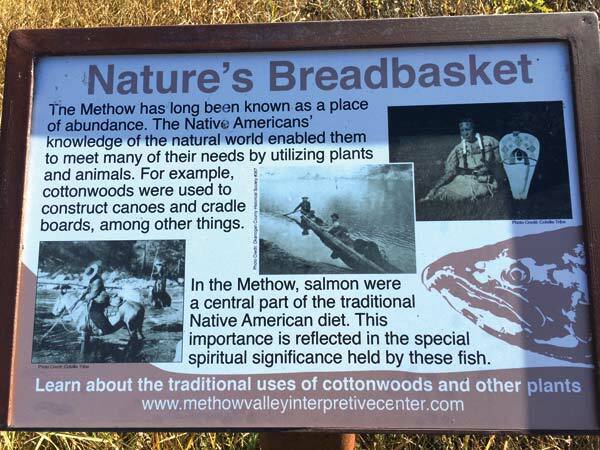 The Methow Conservancy helped create interpretive signs along the trail. To see the fruits of Sandra’s labor, visit the Methow Valley Interpretive Center and Methow Natives plant garden located on the TwispWorks campus, and take a stroll on the Cottonwood Trail located off the Old Twisp Highway. I have two important reminders to share: October is cancer awareness month. Remember to schedule your annual exams and cancer screenings. And, October is also a time to stretch your donation dollar. Visit www.givemethow.org to help support nonprofits in our valley, including the Methow Valley Interpretive Center. One-hundred percent of your donation directly supports the nonprofits. On “Funday Mondays,” donors are entered to win additional funds for their participating nonprofits. All donations are tax-deductible.